Sea level is always used as a point of having the lowest elevation. On a ball that wouldn’t make sense. On a flat surface it makes perfect sense, with the land being higher than the water. If the water was the same elevation as the land then the land would be under water. We know that rivers flow down to the oceans, to sea level. On a ball or globe how would water flow down to the oceans if the oceans also have an incline due to the curvature of the ball. The oceans would destroy the land completely if the earth were round and somehow the water managed to stick to the surface. The rivers would constantly push on to land till they cut through it. That is how water behaves if it is on a slope and meets a barrier on its way. If there is an incline to water then you wouldn’t need wind to sail, you would just go down with the flow. A round surface gives you the incline, so it doesn’t make sense. 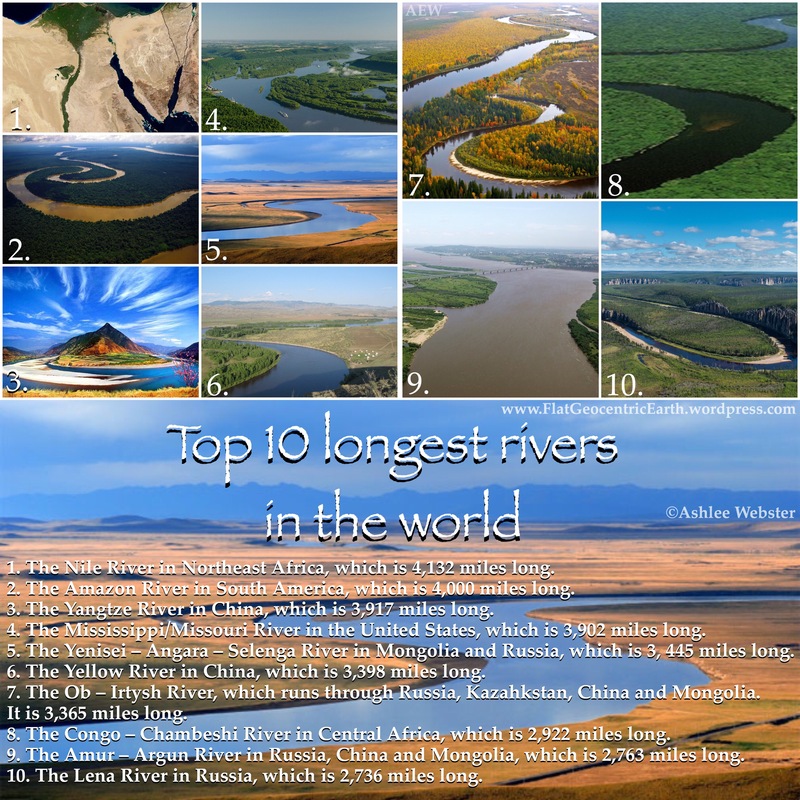 Nile is the longest river in the world (6650 km – 4132 Miles), and in a thousand miles Nile falls just one feet! This means that in the middle of this 1000 miles (within which Nile falls but a foot), we should imagine 200 km high mountain due to alleged curvature of the Earth!